Multiple Arcade Machine Emulator for the GPH Caanoo. 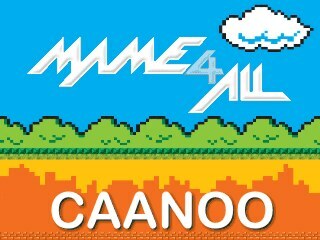 Version 2.6 is the first release compatible with Caanoo, based on Simon's one but it runs a bit faster. I've tested a good few games on this new emulator and I can honestly say I can't tell the difference between this and the old MAME. What I'd like to see is an update to bring it more up to date. If you've already got MAME4ALL I wouldn't bother with this if I were you. I agree with Baldeagle. An added improvement would be sorting out the screen size so that the sides aren't overlapping the Caanoo screen/cutting some of the game screen off. Please keep up the good work as MAME is one of the best emulators out there. have not tried this one yet,. however improvements I would like (from the old one) are options for sorting and arranging the games. Being able to create 'categories' and adding/removing games from them, then listing only games in a category,. as well as, deleting games when I find that I don't want them, would all be very handy. I'm going back to the old one for now, never really had any complaint before, but this so called "Compatible" version seems to be less compatible with the games, I'm having to turn my Caanoo off and on every 3 or 4 games I load, very annoying. On another note, I'm very pleased to see it's still being updated, and thanks for your efforts, I'll wait for the next release. no INI files! please add . Great port of MAME, thanks to Franxis. One question; there are some games where the colors are wrong, although MAME doesn't mention this when you load the game. For example, "Gorf" and "Wizard Of Wor". These ROMS have worked fine with MAME on other platforms ... Windows, iOS, etc. Help?